Shihan Tony Fletcher has over 35 years of martial arts training. He is presently the Head Instructor of Shishikan dojo in Brisbane, Australia. He commenced his martial arts training in Tae Kwon Do (TKD) under Sensei John Tairea while in the Army stationed at Waiouru, NZ in 1977. In 1979, Tony was posted to Singapore and continued his TKD training in Singapore while on Army transfer. After leaving the Army and spending time in the Mines at Kalgoorlie WA, Shihan Fletcher returned to TKD training under Sensei Malcolm (Dutchy) Holland in Perth and in 1993 was graded to Shodan. In 1995, Shihan Fletcher moved to Darwin and opened and co-run Top End TKD with Sensei John Mosca and in 1996 graded to Nidan under Master David Burns, 6th Dan WTF TKD. This promotion was also Certified by the Kukkiwon, Korea. While living in Darwin, Shihan Fletcher also joined the Judo Federation of Australia with his children, Kylie and Shane, training under Sensei Luke Ronland with the Larrakeyah Barracks Judo Club, graded in mudansha, qualified as a junior referee and assisted in teaching the junior classes. Shihan Fletcher also took a lead role in the administering of the club taking on the position of Secretary. In 1998, Shihan Fletcher moved to Brisbane and was introduced to Shorinjiryu Karatedo. 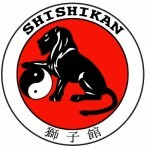 After training and grading into the Australian Shorinjiryu Karatedo School under Shihan Jim Griffin, Shihan Fletcher established his own dojo in 2005 opening Shishikai in Coorparoo. In 2008, Shihan Fletcher was awarded Sandan by Hanshi Watanabe, 9th Dan while under the Kenyukai Watanabe Ha Karate school. In May 2016, Shihan Fletcher received Godan certification from Kyoshi Jim Griffin 7th Dan, Shihan Max Estens 7th Dan and Shihan Des Paroz 6th Dan within the Australian Shorinjiryu Karatedo Association.